One of the most beautifully sited cities, Edinburgh rises from the wide Firth of Forth to a high, rocky pinnacle crowned by the stone walls and towers of Edinburgh Castle. The Scottish capital is a center of culture and the arts and is especially known for its festivals, from the Edinburgh International Book Festival, which welcomes more than 1,000 authors, to the sparkling Christmas Markets and the Edinburgh Fringe, the world's largest festival of the arts. Between these and internationally known events such as the Royal Edinburgh Military Tattoo, there are always plenty of things to do here. Edinburgh may seem at times to be two separate cities, so different are the 18th-century New Town's elegant Georgian neighborhoods of stately terraces from the Old Town's narrow winding lanes, steep staircases, and hidden passageways. While many of the most popular tourist attractions are along the Royal Mile, which follows the crest of the hill between the castle and Holyrood Palace and Princes Street, be sure to explore the other side of the hill, where you'll find the picturesque Grassmarket. One of Edinburgh's most important market squares since the Middle Ages, it rings with history. In this pedestrian-friendly area of shops and cafés look for the White Hart Inn, where Robbie Burns once wrote poetry. Scotland's most famous landmark, Edinburgh Castle is one of Britain's most visited tourist attractions. Highlights include the One O'clock Salute from Half Moon Battery (cannon fire commemorates the tradition of helping ships synchronize their clocks); the impressive Scottish National War Memorial; and the stunning collection of Crown Jewels housed in the Royal Palace. Another notable feature is the Stone of Destiny (aka, the Stone of Scone), famously stolen by Edward I and placed under the English throne in London - only returned to Scotland 700 years later in 1996. If you want to save time, consider purchasing a Skip the Line: Edinburgh Castle Entrance Ticket, so you can spend more time touring the castle instead of waiting in the long lines. The Palace of Holyroodhouse is the Queen's official Edinburgh residence and has frequently been at the center of Scottish history: it was where James II and James IV were each married, where James V and Charles I were crowned, and where "Bonnie Prince Charlie" held court in 1745. When the Queen's away, public access is permitted to the stunning Historic Apartments (former home of Mary Queen of Scots) and the State Apartments, famous for their fine furnishings, tapestries, and plasterwork. The Great Gallery displays portraits of Scottish kings, both legendary and real. The Queen's Gallery, opened in 2002 as part of the Golden Jubilee celebrations, hosts changing exhibitions from the Royal Collection. The neighboring 12th-century Holyrood Abbey was founded by King David I. 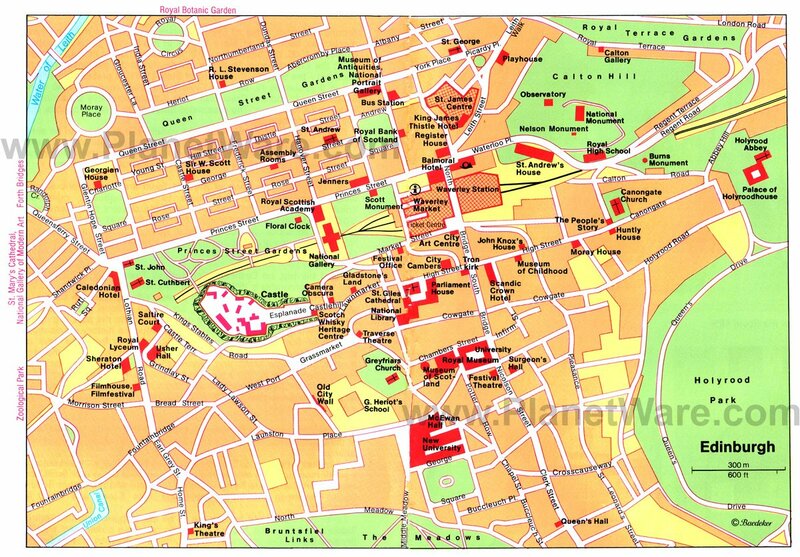 The Royal Mile refers to the streets linking Edinburgh Castle and the Palace of Holyroodhouse. Lined with charming townhouses, churches, and historic landmarks, this splendid thoroughfare is a place to stroll for its shops (including kiltmakers), inns, museums, cafés, and restaurants. Many of the buildings are tall, averaging six to 15 stories and referred to locally as "lands." Narrow little alleys, called "winds," with the hidden backyard "closes," weave in and around them. Some of the most popular attractions are at the upper end of the Royal Mile - commonly called Castle Hill - and include Outlook Tower and the Camera Obscura; the Tolbooth (St John's Highland Church) with the city's tallest church tower; Gladstone's Land, a six-story merchant's house with pretty ceiling paintings and original furniture; and Lady Stair's Close, home to the Writer's Museum displaying manuscripts, portraits, etchings, and memorabilia of the poet Robert Burns and writers Sir Walter Scott and Robert Louis Stevenson. At 820 feet, Arthur's Seat is the highest point in the 640-acre Holyrood Park. The spectacular views from the top encompass the whole city all the way to the mouth of the Forth. The easiest way up is from the park's Dunsapie Loch. Also easy to climb are the dramatic Salisbury Crags, a series of 151-foot cliffs adjacent to Arthur's Seat. Other features in this huge park are the ancient cultivation terraces, some of the earliest and best-preserved examples of ancient farming practices in Scotland, and the picturesque ruins of the medieval St. Anthony's Chapel. One of Edinburgh's newest attractions is the Royal Yacht Britannia. Over the years, the Queen has welcomed heads of state and famous people from around the world to this luxurious vessel. After more than 40 years serving the Royal Family, the 60-year-old yacht was sent to Leith, Edinburgh's port area, as the centerpiece of the Britannia Visitor Centre. Once aboard, you'll learn about the history of this and other royal yachts as you explore the ship's five main decks. Highlights include the Royal Apartments and bedrooms, the lovely sun lounge, and the onboard Royal Deck Tea Room, where you can stop for tea and cakes. Since opening in 2011, the free National Museum has become one of Scotland's most popular attractions, with close to two million visitors each year. It incorporates collections from a number of Edinburgh's older museums. Highlights include national archaeological collections; medieval artifacts; and displays focusing on natural history, geology, art, science, and technology. In its 16 galleries, containing more than 8,000 artifacts, are Dolly the sheep - the world's first cloned mammal - as well as some of Elton John's more elaborate stage costumes. Traditional museum displays also include material from Ancient Egypt and the infamous Maiden, an early form of guillotine. Edinburgh's Royal Botanic Garden is the second oldest such garden in Britain. Within its magnificent 70-acres are a herbarium and Britain's biggest palm house; a tropical house with exotic orchids; an alpine house; a terraced moorland garden; heather garden; and an extensive arboretum with rare giant trees from the Himalayas, North America, and China. Other highlights are the woodland garden, with its colorful azaleas, hydrangeas, camellias, and rhododendrons; an aquatic house, with tropical water plants such as the pink water lily from India; and touring displays in the Exhibition Hall. Busy Princes Street is the New Town's main thoroughfare. It extends for almost a mile and is lined with colorful gardens and elegant shops, including the tradition-conscious Jenners of Edinburgh, the world's oldest independent department store. House of Frasers at the western end is also quite grand, while Princes Mall, with its small shops set among fountains and cafés, offers more places to browse. As well as these temples to consumerism, you'll find restaurants, from fast food to gourmet bistros. Of interest to those keen on genealogy is New Register House, home to the Scottish National Archives, some of which date from the 13th century. Princes Street's historic landmarks include the 200-foot-tall Sir Walter Scott Monument and the David Livingstone Memorial, a memorial to the missionary and African explorer. When you're done with all that shopping and history, head for Princes Street Gardens, home to the world's oldest floral clock (1903). Paintings of Scotland's leading historic figures from the 16th century to the present day can be seen in the National Portrait Gallery, one of Edinburgh's three major art galleries. The highlight of the gallery's 65,000-plus pieces is the huge processional frieze showing Scotland's most famous personalities, including Robbie Burns, Sir Walter Scott, Sean Connery, Robert Louis Stevenson, Mary Stuart, and Bonnie Prince Charlie, among others. The second major art collection is housed in the Scottish National Gallery, which displays Scotland's biggest collection of European paintings and sculptures, beginning with the Renaissance and including some Post-Impressionists. Finally, the Scottish National Gallery of Modern Art displays paintings by Henri Matisse and Pablo Picasso; surrealistic works by Rene Magritte, Joan Miró, and Max Ernst; contemporary paintings by Bruce McLean, Callum Innes, and Gwen Hardie; and sculptures by Henry Moore, Barbara Hepworth, and David Hockney. It's a lot of art (and walking), so you may want to spread your visits over a couple of days. 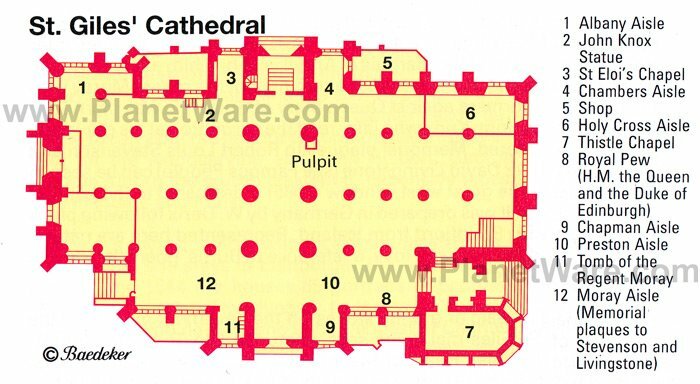 Consecrated in 1243, St. Giles Cathedral is Edinburgh's principal church. The 161-foot central tower, with its eight arched buttresses, forms a huge crown (the Crown Steeple) and is a favorite backdrop for photos. Interior highlights include memorials to the dead of WWI; lovely stained glass windows; and a statue of John Knox, leader of the Protestant Reformation (his former home, 45 High St, is close by and contains a museum). The Thistle Chapel is known for its oak carvings, heraldic emblems, and seals of the "Knights of the Thistle" (Scotland's oldest order of knights). Sir Robert Lorimer designed the chapel in 1911, and it is a superb example of modern Gothic style. Calton Hill provides a panoramic view of the city, with Princes Street, the castle, and the Old Town silhouetted against Arthur's Seat. To the east and north you can see the Firth of Forth and the docks at Leith. At the foot of the hill stands the 13th-century Royal High School, where Sir Walter Scott was once a pupil. Perhaps the most important of Edinburgh's many memorials is the impressive National Monument on Calton Hill, erected to remember the dead from the Napoleonic Wars. Henry Playfair designed the memorial using the Parthenon in Athens as his inspiration, and work began in 1822, but the project had to be abandoned due to lack of money. Nelson's Monument was unveiled in 1816 after Horatio Nelson's victory at the Battle of Trafalgar. Opposite Calton Hill stands a memorial to Scottish poet Robert Burns. Located at the south end of picturesque Candlemakers Row, Greyfriars Church has the city's oldest graveyard, the final resting place for a number of celebrated Scots, including poet Allan Ramsay (1686-1758). The first "National Covenant," directed against Charles I's attempt to impose the constitution of the Anglican Church on Scotland, was signed here in 1638, under which framework, the church would be subjected to the power of the state. Buried within the Covenanters Prison is James Hutton, considered by many as the father of modern geology. Perhaps the most famous name associated with the church, however, is Greyfriars Bobby. In 1858, this Skye terrier loyally followed the coffin of his master, John Gray, to the graveyard and until his death 14 years later refused to leave. A kennel was built for him to shelter in, and a famous landmark outside the church is a statue of Bobby erected in 1873. Not just for kids, the Museum of Childhood includes excellent collections of old toys, including model railroads, dolls, and games from around the world. But it's more than just a place full of old toys (as much fun as they are): the museum explores other aspects of growing up, including a fun look at schooldays, trends, and fashions. Adding to the authenticity is a re-creation of a Victorian streetscape complete with outdoor toys, as well as an opportunity to dress up in period costumes and play the kinds of games our ancestors would have enjoyed. Our Dynamic Earth is a multi-media presentation that takes visitors on a 500-million-year journey through the earth's history. Using hi-tech gadgetry and superb special effects, its displays realistically portray natural events such as volcanoes, tropical rainstorms, and glaciation. Located at the foot of Arthur's Seat near Holyrood Park, this unique science center is housed in an ultra-modern tent-like structure and is particularly fun for kids. And thanks to facilities like the excellent 360-degree Showdome, with its 3D movies, it's as entertaining as it is educational. The museum's latest addition is 4Dventure flight simulator, where visitors explore evolution and the diversity of the world's climates by "flying" through time and space. Luxury Hotels: Steps away from the Royal Mile, Old Town Chambers offers fantastic value - especially for families and extended-stay travelers - with its luxurious contemporary apartments. Each is unique, with features such as exposed stone from the 15th century and gabled ceilings. In New Town, about a ten to fifteen-minute walk from the city center, The Howard is an affordable luxury boutique hotel occupying three Georgian townhouses and is much-loved for its personal butlers and sumptuous individually-decorated rooms. For those who prefer a large chain hotel, the Sheraton Grand Hotel & Spa, with a pool, is only ten minutes on foot from the castle. All the well-appointed rooms feature media hubs and glass-walled bathrooms, and some overlook the castle. Mid-Range Hotels: Sitting right on the Royal Mile, The Inn on the Mile offers great-value, stylish rooms with iPod docks and wonderful city views, a five-minute walk from the castle and Princes Street. In New Town, the Ibis Styles Edinburgh Centre St Andrew Square, with bold, colorful decor, is pet-friendly and a 12-minute stroll from the Royal Mile. Another excellent chain option in the heart of the city is the Premier Inn Edinburgh City Centre (Princes Street) Hotel, with castle views from its restaurant. 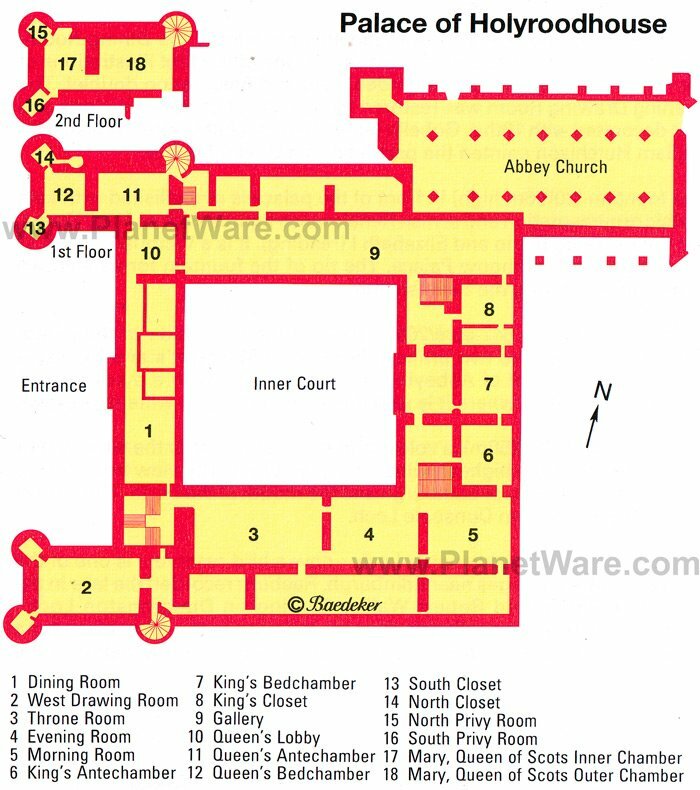 It sits within walking distance of the castle and the Royal Mile, as well as Edinburgh's best museums and galleries. Budget Hotels: The great-value Travelodge Edinburgh Central Princes Street is in a fantastic location opposite Edinburgh-Waverley train station and close to shops, restaurants, and the Royal Mile, while the Cairn Hotel Edinburgh has compact, clean rooms. It lies less than a ten-minute walk from the city center. About a fifteen-minute walk from the Royal Mile, Regent House Hotel offers guest rooms and family rooms with period furniture and comfy beds. Sightseeing Tours: If you're planning to see the city's top attractions, the Royal Edinburgh Ticket Including Hop-On Hop-Off Tours and Edinburgh Castle Admission will save you the hassle of finding your way around the city. Hop aboard the double-decker, open-top sightseeing bus and cruise around the sites, listening to the audio commentary and jumping off at your favorite attractions. The tour is valid for 48 hours. Best of all, it includes admission to prime sights such as the Palace of Holyroodhouse and the Royal Yacht Britannia, as well as fast-track entry to Edinburgh Castle. Day Trip Tours: Breathtaking countryside, quaint villages, and the famous Scottish Highlands beckon not far from Edinburgh, and you can save time and trouble if you explore the surroundings on a day trip tour. Let an experienced driver take you through the countryside in the comfort of a Mercedes van on the Loch Ness, Glencoe and the Highlands Small-Group Day Trip from Edinburgh. 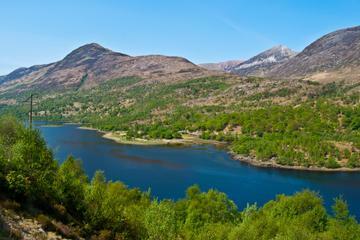 This full-day guided tour includes a visit to beautiful forested lochs, tiny villages, Glencoe, Cairngorms National Park, Fort Augustus, and the chance to search for the Loch Ness monster. 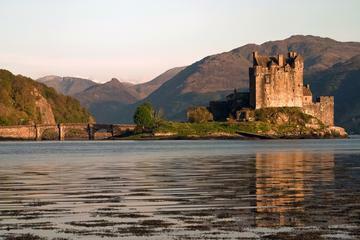 Also focusing on the Scottish Highlands is the West Highland Lochs and Castles Small Group Day Trip from Edinburgh. Castles, lakes, breathtaking scenery, and small villages are the highlights on this full-day guided tour, which includes discounts at select local restaurants, shops, and attractions. You don't have to be a golfer to enjoy the St. Andrews and Fife Small Group Day Trip from Edinburgh. It includes a visit to the fishing villages of East Neuk, Falkland Palace, and, of course, a visit to St. Andrews, known as the home of golf as well as Scotland's oldest university. If you have more time and want to see the dramatic scenery of Scotland's northwest coast, consider the 3-Day Isle of Skye Small-Group Tour from Edinburgh. In the comfort of a Mercedes van, you'll visit the Scottish Highlands, with stops at Glencoe and Loch Ness, and the Isle of Skye. Included in the tour are a professional driver and guide, two nights at a B&B or three-star hotel, and two breakfasts. Free in Edinburgh: A surprising number of Edinburgh attractions are free, including the National Museum, the Botanic Garden, the National Galleries, and the churches. Also free is the sightseeing bus that shuttles visitors between the various National Galleries. Places to visit on day trips from Edinburgh include several castles and two of Scotland's magnificent abbey ruins. Glasgow is only a short train ride to the west, and beyond it lie Loch Lomond and one of Europe's most scenic train rides, from Balloch to Oban, gateway to the Isle of Skye and the Hebrides. North of Edinburgh, St. Andrews is of interest not just to golfers. Wherever you plan to travel in Scotland, you'll find Edinburgh is a good starting point.